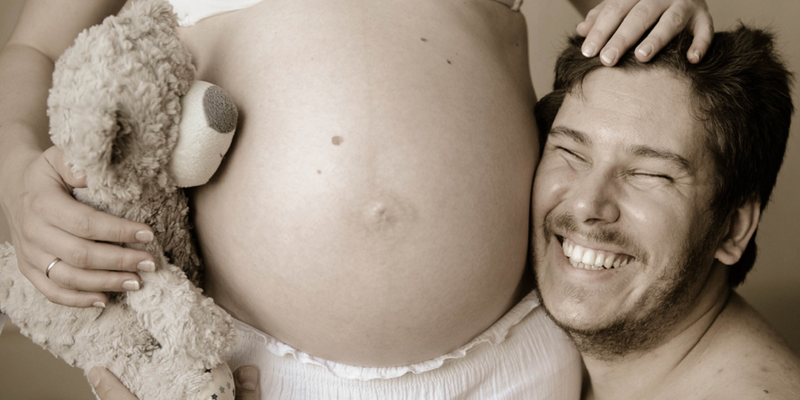 Pregnancy in Germany, what do you need to know? We have asked the expert’s opinion, our partner AOK, about one of the issues that worry most of the foreigner women in Germany. What happen if I get pregnant during my stay in this country? What should I know about the pregnancy in Germany? Leave us your questions in the comments in casa of any doubt. Which medical examinations are covered by your health insurance during pregnancy? b) Early detection and special monitoring of high-risk pregnancies – aminoscopic and cardiotocographic examinations, ultrasound diagnostics, amniocentesis, etc. c) Serological examinations for infections, e.g. As an additional service by AOK, we reimburse you 80% of the costs for Triple test, Nuchal translucency screening, Toxoplasmosis test and Additional ultrasound examination. Are there additional services that are covered by health insurance specifically for expectant mothers? On-call service: Pregnant women who have opted for non-clinical childbirth or delivery by external midwife using hospital facilities with 1:1 supervision by the hospital midwives may conclude an on-call service contract with the midwife. The midwife ensures that the pregnant woman can reach her by telephone day and night 3 weeks before and up to 2 weeks after the calculated childbirth date and will be on-call, even for obstetrics lasting several hours. Personalised prevention counselling: Expectant mothers can make use of personal prevention counselling, tailored to their needs, by a midwife during their pregnancy. Courses on birth preparation: The midwife remuneration as of 25/09/2015 earmarks 6.80 EUR (max. 95.20 EUR per pregnant woman) per lesson (60 minutes) as a clearing item for birth preparation in the group for up to 10 pregnant women per group and no more than 14 hours. Offers from midwives and physiotherapist, whose course costs go beyond that, shall be reimbursed up to this amount. If an accompanying person participates in the preparation course, 80% of the actual incurrent costs will be reimbursed for the accompanying person, if this person is ensured with AOKN, as part of the AOK additional services (please note the requirements). Housing an accompanying person in a parents’ room: Here we also reimburse 80 percent of the invoice amount as part of AOK additional services. How many sonographies are free for expectant mothers from your health insurance? Three. If there is a need for additional sonographic diagnostics from screening tests, including control examinations as the case may be, then these tests are also part of prenatal care, even with other sonographic processes. At what times during pregnancy should sonographies be carried out? Are 3D sonographies also free of charge for AOK insured persons? The time period of the sonographies is also stipulated in the maternity guidelines and is a medical question that health insurance cannot answer. 3D sonography is possible as an additional service /additional ultrasound exam (80% cost absorption). What is a “maternity record”? All pregnant women receive a maternity record at the beginning of their pregnancy. They are issued by the attending gynaecologist, gynaecologist, or the midwife, and accompany the expectant mother until birth. All medical check-up results up to birth are entered, such as the weight or size of the baby. Even information on the health of the pregnant women are recorded here. You should have the maternity record on you as much as possible during the entire pregnancy, so that the treating physician can quickly and properly respond. What is a midwife and what are her tasks? Midwives are professional women specializing in pregnancy, birth, puerperium, and the breastfeeding period. Midwife assistance includes care in provision, birth, aftercare, all breastfeeding questions, baby care, and support during post-natal recovery. Will AOK provide me with a midwife or may I freely select a midwife? The woman may directly consult a midwife in the near vicinity of your residence. Must I look for a hospital myself for birth or will a hospital be assigned to me? Parents themselves look for a hospital. Expecting parents should already be dealing with their choice of the appropriate maternity clinic at the beginning of the pregnancy. There is a great rush for maternity clinics, particularly in large cities. Since there is only a limited number of openings for pregnant women, you should register early enough at the desired hospital. Maternity clinics usually offer free information evenings and viewing appointments for expecting mothers. These should definitely be taken advantage of by the expecting mother and expecting father, since it’s the only way you can get a clear image of the maternity clinic. During these information events, you can also ask all the questions you have. Are the costs of my hospital stay covered by AOK insurance or do I need to pay for the stay or trip to the hospital, for instance? If the insured person is admitted to a hospital for inpatient delivery or to another inpatient institution, she will be entitled to a stay, care, and meals for herself and the new-born. Even the trip to the hospital will be paid, although an additional payment amounting to 10% of the costs, at least 5 but no more than 10 euros, will apply per trip. Can I also have a baby at home? Will the costs of an outpatient birth also be borne by AOK? The insured person is entitled to outpatient or inpatient delivery. The insured person can have an outpatient birth in a hospital, in an institution run by a midwife or a male midwife, in a medically-managed institution, at a midwife practice, or in a home birth. Should unexpected complications arise during or after pregnancy and should a stay be required at the intensive care unit, are these costs also covered by health insurance? Is it possible to use childcare through the AOK during pregnancy or birth? – Are additional costs incurred for any childcare? For pregnancy-related problems that go beyond the normal scope and birth, we contribute to domestic help costs in justified cases. This also applies to the time period after childbirth. The requirement is that another person living in the household cannot continue to run the household. Which (official) applications must be submitted after birth? Registration at the health insurance company, applications for child benefits, parental benefits, etc. As a health insurance company, we cannot make any conclusive statements. Does the mother receive full income or salary during the maternity leave period? Women who themselves have health insurance receive maternity pay during the statutory maternity protection period – six weeks before birth and eight weeks after. For multiple births and premature births, the maternity pay is extended from eight to twelve weeks from the childbirth date. If the baby is born earlier, the maternity pay is paid accordingly for a longer period of time. Employees receive a maximum maternity pay of 13 euros per calendar day. If the average net remuneration exceeds 13 Euros per calendar day, the difference to the net remuneration will be paid by the employer as a subsidy for maternity pay. Even part-time or marginally-employed workers receive maternity pay, if they themselves are a member. Unemployed insured persons receive maternity pay amounting to the unemployment pay. Women covered by family insurance and that have marginal employment apply for maternity pay at the Federal Social Insurance Authority. Hello,I am pregnancy with triplets from Iran. I like born my child’s in German. wow, congratulations! This is going to be a tough but great journey! Are you already arrived in germany? In which city do you live?